(CBS/AP) NORTH BRANFORD, Conn. - You may need to read this one twice. A 24-year-old Connecticut woman is charged with assaulting a 12-year-old girl. Police say the 24-year-old woman believed the 12-year-old girl was eyeing her 30-year-old boyfriend. 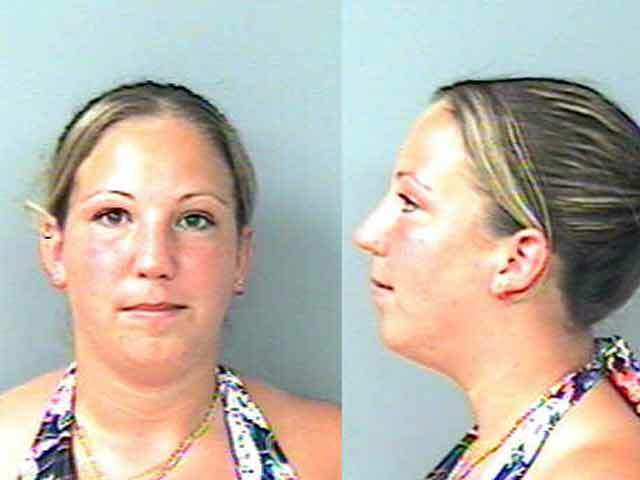 The Hartford Courant reports that Candice Kiley, of New Haven, was charged Tuesday in connection with the July 23 attack. According to police, Kiley was attending a family birthday party when she grabbed the 12-year-old by the hair and threw her to the floor. Police said the girl then suffered an asthma attack. Police said Kiley's boyfriend - did we mention he's 30? - was in the kitchen cleaning up a spill when the "woman v. girl" confrontation took place. Kiley was charged with third-degree assault, disorderly conduct and risk of injury to a minor.